On this page we remember and honor our high school administrative staff personnel who have passed away. We deeply appreciate their service and the wonderful ways in which they touched our lives. Please scroll down the page or click on a name below. Allow time for the tribute to appear if you have a slower internet connection. To see other life tributes, hover over the "Life Tributes" link to the left and click on the page of interest. Mrs. Shirley Witkowski, 93, who we knew as Mrs. Shirley Loiko, passed away peacefully at home on Wednesday, Nov. 7, 2018. 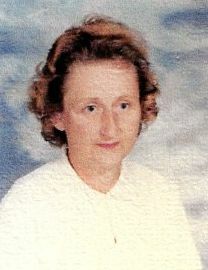 She served as a secretary and bookkeeper for the school system for 19 years. She was the mother of Frances (Lorent) Moore, ELHS 1969, and the mother-in-law of classmate Bruce Moore. Mrs. Witkowski's remains are interred in Greenlawn Cemetery, East Longmeadow, MA. Mrs. Donovan during our time and later in life. Beverly Ann (Hazen) Lewis Donovan (who we knew as Beverly Lewis), 89, passed peacefully on Monday, Aug. 27, 2018. Born in Springfield to the late Harold and Anna (Sutherland) Hazen, she graduated from South Hadley High School and achieved her Registered Nursing certificate from Springfield Hospital of Nursing. She worked at Wesson Women's Hospital and then as a Town of East Longmeadow school nurse for 23 years. Beverly was a member of the Eastern Star. She was predeceased by her first husband, Philip Lewis in 1964 and her second husband, John Donovan in 2014. She will be sadly missed by her children, John Lewis of Lancaster, MA; David Lewis and his wife, Diane of Beaufort, NC; Kenneth Lewis and his wife, Sarah of Shirley, MA; John Donovan and his wife, Mary of East Longmeadow; Nancy Gooding and her husband, James of Easton, MD; and Paul Donovan of Ashland, MA; her brother, William Hazen and his wife, Elinor of Belchertown; 15 grandchildren; 17 great-grandchildren, and several nieces and nephews. In addition to her husbands, she was also predeceased by her brother, Harold Hazen. In lieu of flowers, memorial contributions may be made to Rose Monahan Hospice, Worcester, MA, or to Shriners Hospitals for Children, Springfield, MA. (Excerpted from The Republican newspaper, Springfield, MA). Mr. Desmond during our time and later in life. Alfred James Desmond, 96, passed peacefully on Saturday, Jan. 6, 2018 at Brookdale Assisted Living in Port Charlotte, FL. His wife of 73 years, Joyce Campbell Desmond, was present. Al was born on Sep. 29, 1921, the only child of Mary Alida Ingraham and Alfred Desmond of Springfield and East Longmeadow. He married on Jan. 13, 1945 and lived in East Longmeadow until 1980, when he and Joyce moved to Lake Wales FL. He is survived by his two daughters, Barbara Bennett of Cape Coral, FL, and Donna Desmond Crafts (Tom) of North Port FL; two grandchildren, Rebecca Lynn Bennett of Wauconda, IL, and Matthew Desmond Bennett (Rachel) of Pasadena, CA; and former son-in-law, Richard L. Bennett of Lehigh, FL. He is also survived by a step-granddaughter, Trisha Crafts of Orlando, FL. Al graduated from Tech High School in 1940 and entered the Marine Corps, with training at Hilton Head, SC, serving on active duty in the 11th Defense Artillery in the Pacific Theater during World War II. In 2010, at the age of 89, Al was very privileged to enjoy an Honor Flight to D.C. to visit the various war memorials. 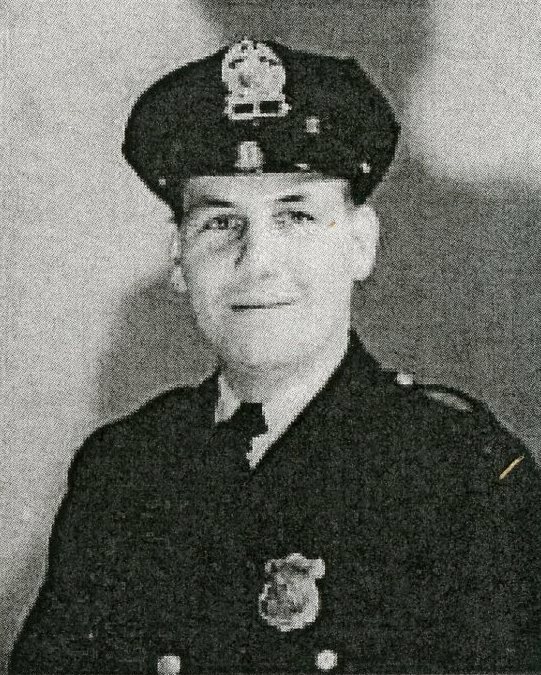 Al was the first police officer in East Longmeadow and retired in 1977 as a detective after serving 30 years on the police force. He loved dancing to the Big Band music, fishing, sports, and enjoyed coaching ELRA youth hockey and baseball. He was also very involved in the East Longmeadow Lions Club, including a term as president. He was the attendance officer for the public schools in East Longmeadow. Al will be missed by family and friends for his positive and fun-loving attitude and dedication to family. He was always eager to help others and made friends wherever he went, with his outgoing personality. In lieu of flowers, memorial donations in Al's memory may be made to the Tidewell Hospice in Port Charlotte, FL or to any personal favorite charity. (Excerpted from the Charlotte Sun newspaper, Port Charlotte, FL). Mrs. Kielar during our time in school and later in life. 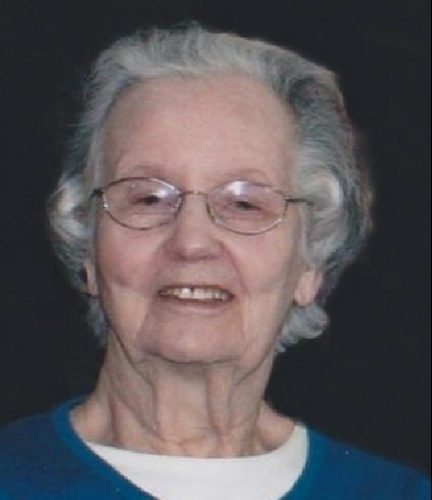 Romayne Evelyn Kielar, 80, passed away Tuesday evening, Feb. 23, 2016 at the Mount Carmel Home in Manchester, NH. She was born in Simpson, PA on Sep. 17, 1935, the daughter of Charles and Anna (Kopec) Bein. Raised in Simpson, she was a graduate of Fell Township High School in 1953. Three years later, whe was joined in marriage to Thaddeus J. Kielar and began a life adventure that spanned 60 years. Romayne resided in East Longmeadow, MA for 37 years prior to relocating to Bedford, NH in 1999. She was employed as the library secretary for 22 years at East Longmeadow High School. While in Bedford, she was an active parishioner of St. Elizabeth Seton Church and also active with the Bedford Seniors and in support of the Knights of Columbus. She is survived be her husband, Thaddeus J. Kielar of Bedford; a daughter, Karen Marie Courter of Lee; two sons, Thaddeus J. Kielar of Jackson, MS, and Mark A. Kielar of Boca Raton, FL; eight grandchildren, and several nieces and nephews. Memorial donations may be made to the Mount Carmel Healing Garden, Manchester, NH. (Excerpted from the New Hampshire Union Leader newspaper, Manchester, NH). Mrs. Fiske during our school years and later in life. 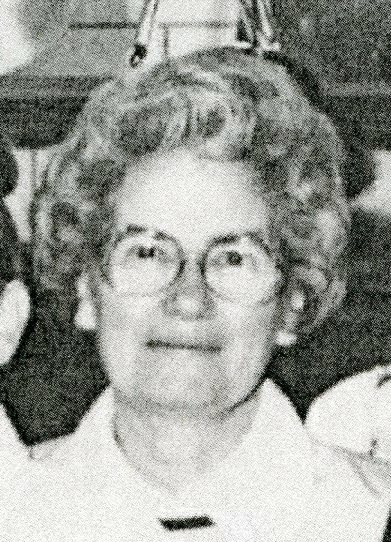 Nathalie Antoinette (Levesque) Fiske, 105, wife of O. Edward Fiske, who predeceased her in 1974, passed away peacefully on Monday, Mar. 14, 2016 at Wingate at East Longmeadow. Nathalie was born on Dec. 1, 1910 in Worcester, MA, a daughter of Charles and Mary (Goodney) Levesque. She was a resident of East Longmeadow for over 70 years. Nathalie's career began as a registered nurse. Her most recent employment was with the East Longmeadow School Department, where she was the school nurse for over ten years. Nathalie was a longtime parishioner of St. Michael's Church in East Longmeadow, and a member of the church's Catholic Women's Club. She was an avid gardener and an active member of the East Longmeadow Garden Club. Nathalie is survived by her children Richard C. Fiske, of East Longmeadow, and Dorothy Fiske of Lake Geneva, WI; seven cherished grandchildren; and eight great-grandchildren. She was also predeceased by her beloved daughter, Margaret Loring, and sisters Gertrude Levesque and Marie Swift. In lieu of flowers, donations in Nathalie's name may be made to the Dakin Humane Society, Springfield, MA. Mrs. Fiske's remains are interred in Gate of Heaven Cemetery, Springfield, MA. Agnes W. Livingstone, of East Longmeadow, beloved mother, grandmother, and great-grandmother, passed away peacefully on Saturday, Mar. 5, 2016 at the age of 91. She was born on Dec. 18, 1924 in Dundee, Scotland to the late William and Margaret (Carmichael) Sands. Agnes retired after many years of service as a secretary for the East Longmeadow Public School system. 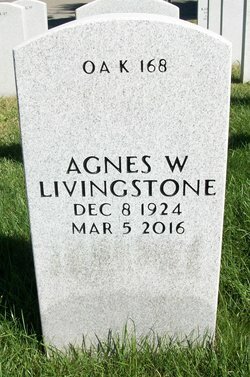 Agnes was predeceased by her husband of 69 years, Alton H. Livingstone, Jr., who died on Jul. 9, 2015; her brothers, Jack Sands, William Sands, Jr. (Peggy); and sister, Margaret Loiselle (Eugene). She will be sadly missed by her son, Skip Livingstone and his wife, Janice of East Longmeadow; two cherished grandchildren; two great-grandchildren; several nieces and nephews; and a sister-in-law, Joan Sands. If you wish to make a donation in Agnes' memory, it may be directed to the Alzheimer's Association, Springfield, MA. Mrs. Livingstone's headstone in the Massachusetts Veterans' Memorial Cemetery, Agawam, MA. The numbers at the top signify the location of the headstone, in Section OA, Row K, Site 168. Her husband, Alton H. Livingstone's inscription is on the reverse side of the headstone. 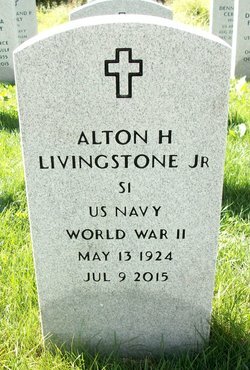 Mr. Livingstone served as a Seaman 1st Class (S1) in the the United States Navy during World War II. Marion Minor, 95, of East Longmeadow passed away on Friday, Apr. 3, 2015. She was born in Palmer, MA, daughter of the late John and Ruby (Smith) Johnson and was a graduate of Palmer High School. Marion was predeceased by her beloved husband of 69 years, Horton, and two brothers, Raymond and Ralph. She worked for several years at the East Longmeadow school system cafeterias. She was a loving wife, mother, and grandmother and her life centered around family. Marion was active in her church and the senior center. She was an avid Red Sox fan and also enjoyed baking, card games, birdwatching, and gardening. Marion is survived by two thankful children, Bruce Minor and his wife, Kathy, of Franklin, WV; and her daughter, Marilyn Wichroski and her husband, Robert of Southwick; seven grandchildren; two great-grandsons; and several nieces and nephews. Mrs. Minor's remains are interred in Hillcrest Park Cemetery, Springfield, MA. 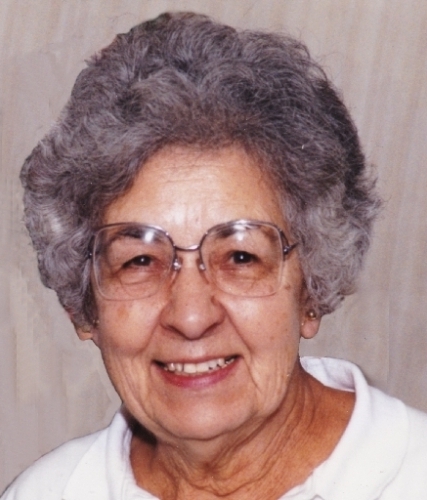 Shirley Emma Sophia (Goller) Paige, 88, died Friday, Sep. 19, 2014. Born Nov. 9, 1925, she was the daughter of the late August and Maude (Stone) Goller of Londonderry, VT.
She attended elementary school in Londonderry and graduated from Chester High School. She worked for her father in the restaurant they owned in Londonderry. She worked in Rutland, VT; as a communication clerk in Albany, NY; and for 23 years as a cook in East Longmeadow schools until she retired. She then worked part-time during the summer months at the Woodbine Restaurant in Brimfield, MA, and also for the Visiting Nurse Association of Springfield, MA. Shirley was a member of the Corona Chapter 205 of the Eastern Star and the Teddy Bear Club. 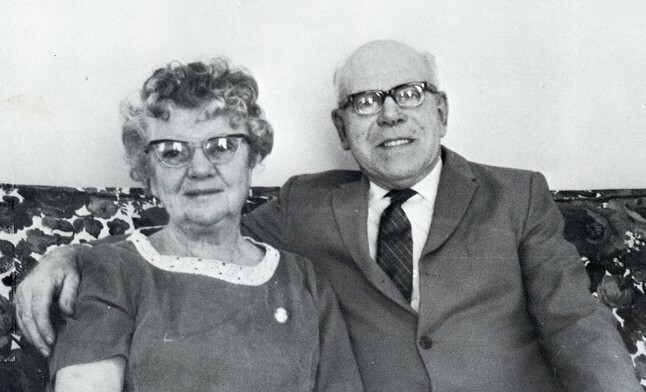 Her husband of 39 years, Ralph C. Paige, who was president of Starr Electric of Springfield, MA, passed away in 1988. Shirley was also predeceased by a brother, Howard Goller; a sister, Carolyn Paige; and Carolyn's husband, Walter Paige. She is survived by three children: Bonnie Dimetres and her husband, Lawrence of Longmeadow, MA; Robert H. Paige of Wales, MA and his girlfriend, Shirley Burr of Springfield; and her youngest, Douglas Paige of East Longmeadow; a sister, Karnie Decell and her husband, Albert of Weston, VT; as well as a granddaughter; a great-granddaughter; and many nieces and nephews. In lieu of flowers, contributions in Shirley's memory to cardiac surgical research at Baystate Medical Center, Springfield, MA would be appreciated. Mrs. Paige's remains are interred in Hillcrest Park Cemetery, Springfield, MA. Mr. Shindler in 1969, 1977, and in 2012. 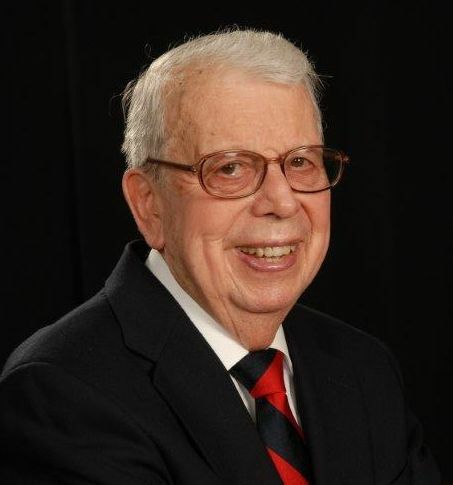 Ralph Lester Shindler, 93, of Arden, North Carolina passed away peacefully on Monday, July 21, 2014, surrounded by his family, at the John F. Keever Solace Center. Ralph, a son of the late C. J. and Nellie (Ledbetter) Shindler was born in Rosalia, Washington. Raised in Rosalia, Ralph graduated from Rosalia High School in 1939. Before entering the military, Ralph worked for a year at the FBI. He joined the United States Army in 1943, serving in the South Pacific until 1945. 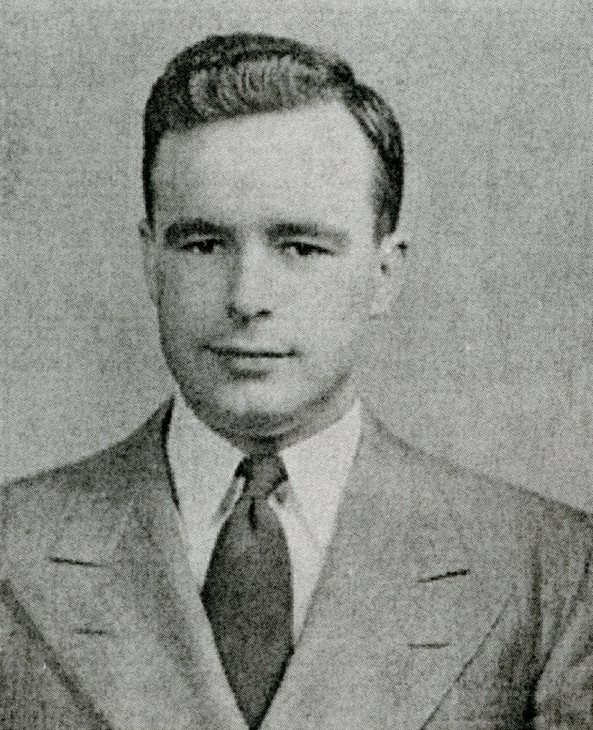 Upon his return from WWII, Ralph attended Northampton Commercial College (NCC) in Massachusetts, where he received his associate's degree in business office practice. He then taught business practice courses in Wilmington High School in Wilmington, Vermont before returning to NCC to teach for two years. He received his Bachelor of Science degree and his master's degree in education between 1954 and 1959. He worked for eight years as a teacher then assistant principal at Longmeadow High School, followed by 16 years as principal of East Longmeadow High School, retiring in 1979. Ralph resided in Longmeadow for five years, East Longmeadow for 12 years and in Arden, North Carolina for the past 28 years. He enjoyed playing golf, watching football, and spending time with his family, grandchildren, and great-grandchildren. 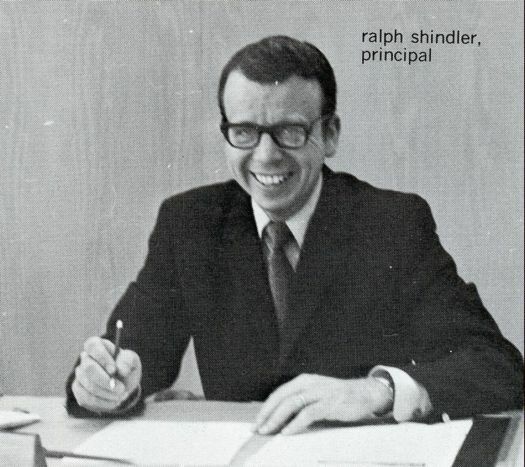 In addition to his parents, Ralph was predeceased by his first wife, Virginia (Dodge) Shindler in 1974; his three sisters, Mildred Milner, Evelyn Morgan, and Clarice Holmes; and two brothers, Roy and Max Shindler. He is survived by his wife, Jayne K. (Neumann) Shindler; a daughter, Judyth L. Roberts and her husband, J. Timothy Roberts of Annapolis, MD; a son, John H. Shindler and his partner, Richard E. Paine of Naperville, IL; a brother, Donald H. Shindler of Palm Springs, CA; two grandsons; five great-grandchildren; and many nieces and nephews. 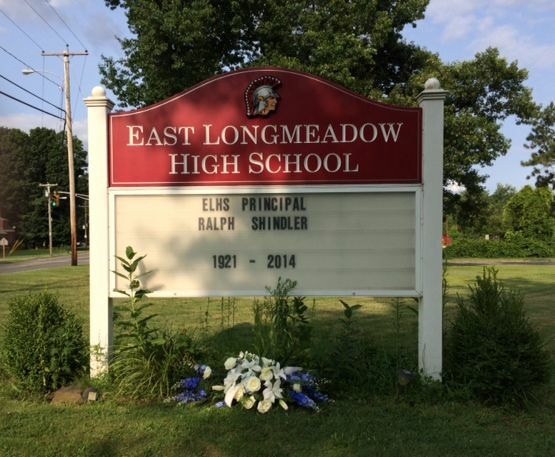 In lieu of flowers, memorial contributions in Ralph's memory may be made to the Ralph L. Shindler Memorial Scholarship Fund at East Longmeadow High School. Mr. Shindler's remains are interred in Hillcrest Park Cemetery, Springfield, MA. Please click here for a short video of the 1968 Parents' Day football game. Mr. Shindler appears at the end. (Note: this video is viewable using the Google Chrome browser but is not viewable using the Microsoft Edge browser). Please click here for a short video of the 1969 Parents' Day football game. Mr. Shindler appears at the beginning. 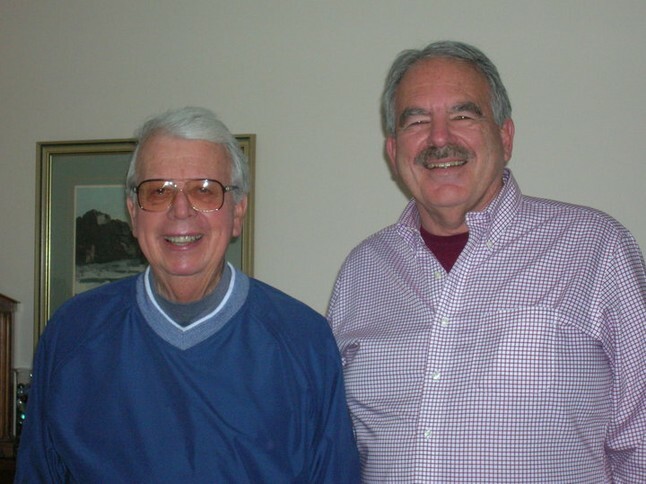 Mr. Ralph Shindler and our assistant principal, Mr. Manley Hart in 2006. Photo courtesy of Dennis Dowling. 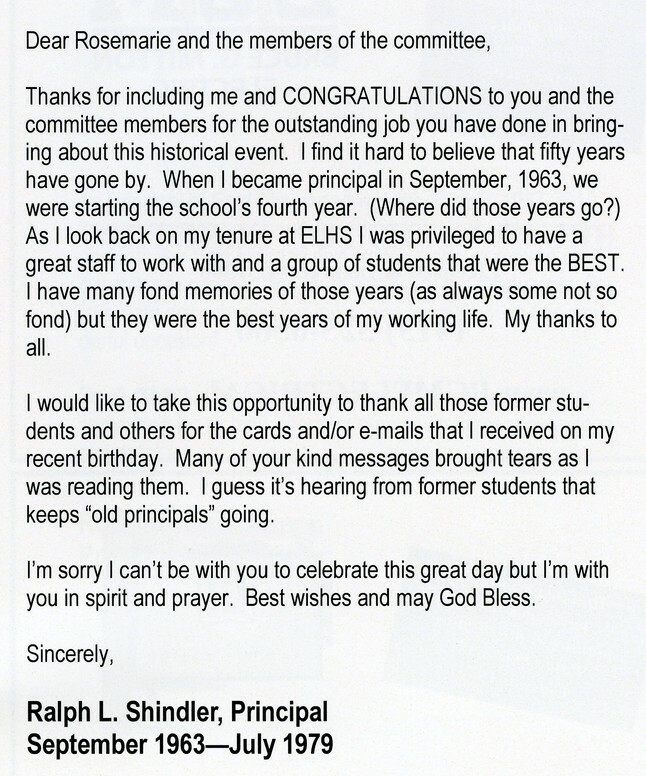 Mr. Shindler's letter to Rosemarie Molinari Myers and the ELHS 50th Birthday Party committee, with his thoughts about the Jul. 1-4, 2011 celebration, his 90th birthday, and his career at ELHS. In surely one of the most poignant moments of Mr. Shindler's funeral, the funeral procession passed by ELHS on its way from Sampson's Chapel of the Acres to Hillcrest Park Cemetery. As his family and friends looked on, the funeral director placed a bouquet of flowers beneath the sign whose words bade farewell to our beloved principal. Photo courtesy of Bill Sharon, ELHS 1973. 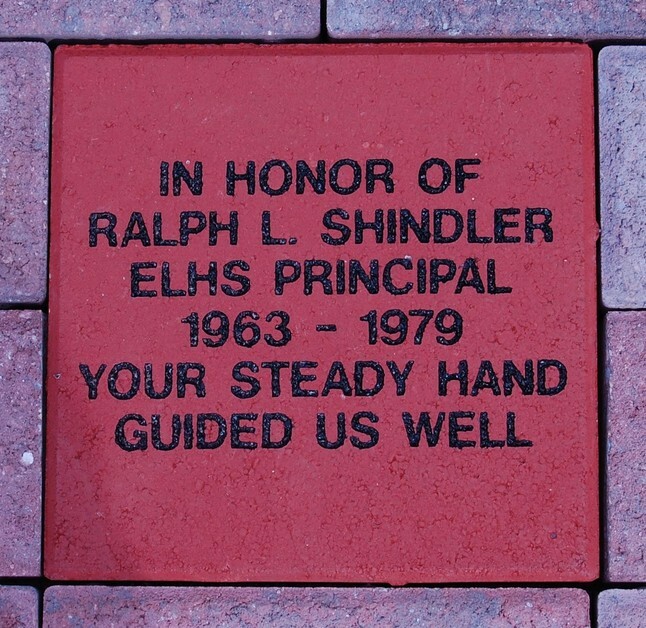 Mr. Shindler's commemorative brick in the Spartan Walkway in front of the high school. To see all the commemorative bricks related to our class, please visit the ELHS 50th Birthday Party page. 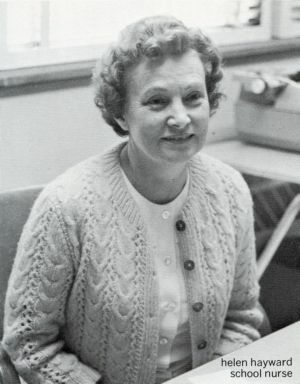 Mrs. Kronenberg in 1981 and later in life. 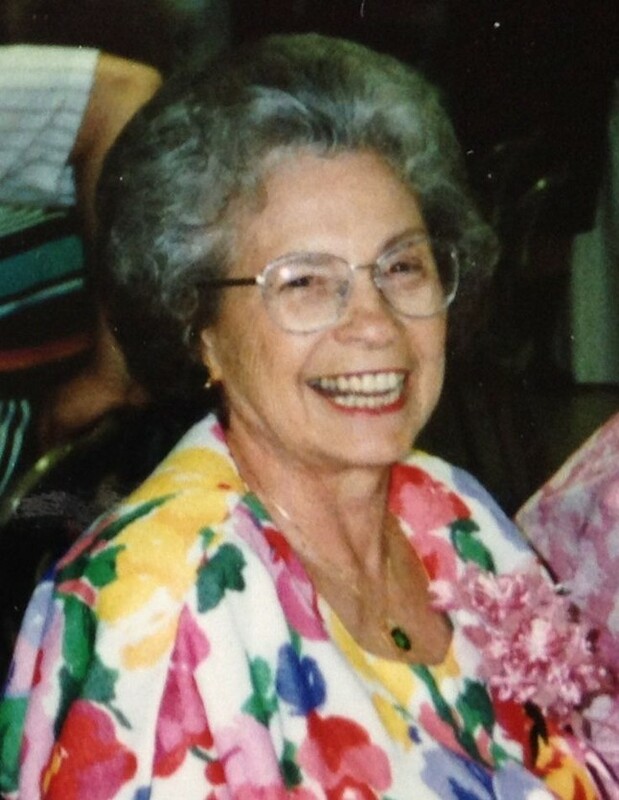 Nancy (Wilson) Kronenberg, 93, of East Longmeadow, passed away on Sunday, Jun. 1, 2014 at Mercy Medical Center. Nancy was born in Pensacola, FL on Feb. 15, 1921, the daughter of the late William and Ninno Kronenberg. She was a graduate of the school system in Pensacola, FL. Nancy worked for the town of East Longmeadow and retired in 1981. She was a proud member of the East Longmeadow Senior Center. 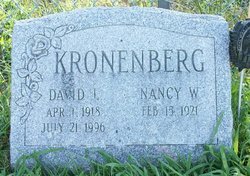 In addition to her parents, she was also predeceased by her husband, David Kronenberg in 1996; a brother, William Wilson; two sisters, Betty Carlson and Carol Corner; and a daughter-in-law, Nancy Kronenberg, in May 2014. Nancy is survived by two devoted sons, Dennis Kronenberg and his wife Alice Rodgers of Winchester, MA; and Richard Kronenberg of Belchertown. She also leaves six loving grandchildren. Memorial contributions may be made in Nancy's memory to the East Longmeadow Senior Center. Mrs. Kronenberg's headstone in Greenlawn Cemetery, East Longmeadow, MA. 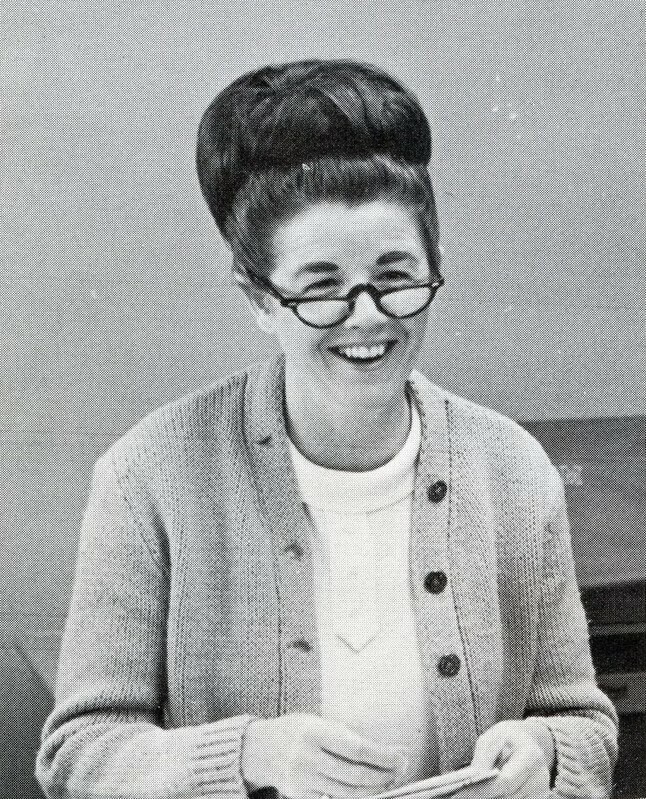 Mrs. Lynch in 1970 and in 1985. 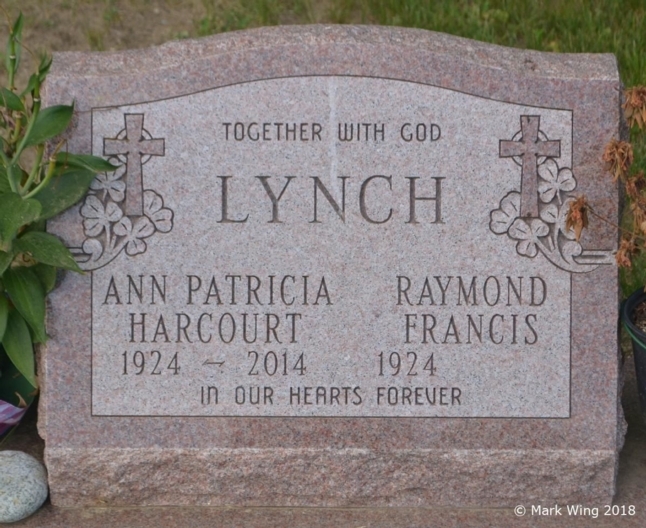 Ann Patricia (Harcourt) Lynch, 89, beloved wife, mother, grandmother, and teacher, died on Friday, Feb. 28, 2014. Ann and her husband, Raymond attended all twelve grades at St. Joseph's School in North Adams together, resulting in a unique, "stereophonic" set of school memories to be related to their children over the years: the same incidents described, but sometimes just a bit differently. 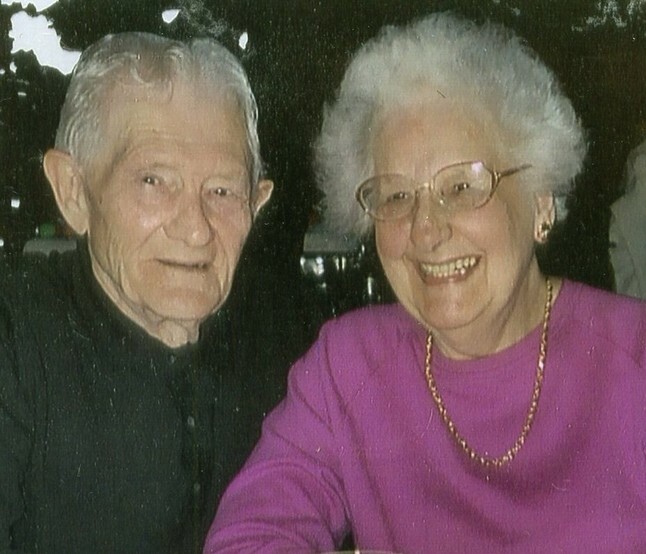 They married on June 21, 1947, and moved to Western Massachusetts when Raymond began teaching in Springfield in 1950. After settling in East Longmeadow in 1953, the family became actively involved in community life, particularly in St. Michael's Catholic Church. 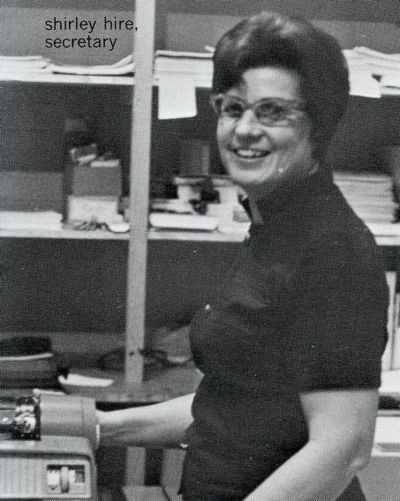 Ann taught in both the CCDE and RCIA programs, served on the pastoral council, was both a lector and a eucharistic minister, served on the church building committee and edited the parish centennial book. She was a member and officer of the Catholic Women's Club and Junior Catholic Daughters, and also served as president of the East Longmeadow Garden Club, and was an active member of book clubs and any challenging bridge club that could risk her expertise. After returning to teaching when the youngest of "the Lynch mob" started school, Ann taught English and AP English and served as advisor to the yearbook, Aegis, for twenty-two years, certainly bringing truth to her own high school yearbook "Most Likely to Succeed" status (the fact that she was an editor of that yearbook and no one was aware of the actual election for "MLTS" is one of the stereophonic stories). In 2007, she was one of the first inductees in the East Longmeadow Educators Hall of Fame. 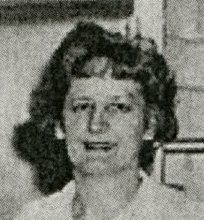 In addition to her husband, Ann leaves five children and their families: Matthew Lynch and Martin (Meghan) Lynch of East Longmeadow; Timothy (Diane) Lynch of Naples, FL; Marcia (David) Weekes of Colchester, CT; and Mary (Joseph) Etter of South Windsor, CT. She was predeceased by an infant son, Joseph. She leaves eight grandchildren; five great grandchildren; a cousin, Claire (Robert) Donnelly, and godchild Brian Cahill. She also leaves behind scores of cherished former cherished students - our family's "other-brothers and other-sisters," who continue to make life in East Longmeadow and Rockport so very rich. In lieu of flowers, donations may be made in Ann's memory to the Scholarship Foundation at East Longmeadow High School. 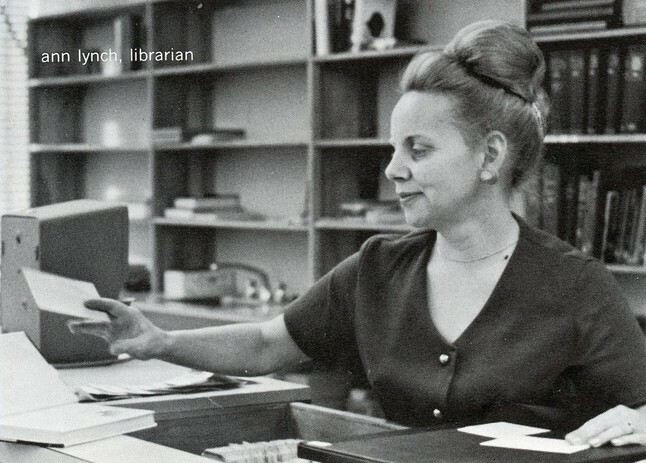 * During the 1969-1970 school year, Mrs. Lynch's first year at ELHS, she served as the librarian, in place of Mrs. Lois Lopes, who was on sabbatical leave that year. She then served as an English teacher the remainder of her time at ELHS. Note: Mrs. Lynch was inducted into the East Longmeadow Public Schools Educators Hall of Fame in 2007. 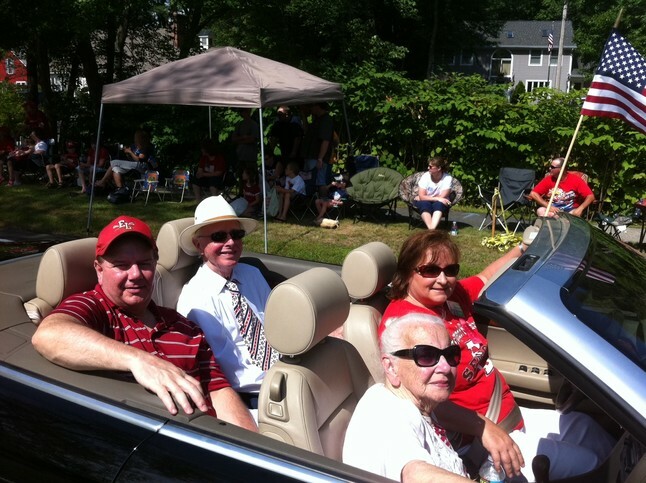 Mrs. Lynch (front seat in white), and music teacher Mr. John Cheney (back seat in white), during the Jul. 4, 2011 parade in East Longmeadow. They were part of the ELHS 50th Birthday Party contingent. Photo courtesy of Roy Esposito. Mrs. Lynch's headstone in Billings Hill Cemetery, East Longmeadow, MA. Mrs. Concato in 1962, and later in life with her husband, Guido. Floris Roma Picard Concato, 92, of Lincolnton, NC died Thursday, Sep. 12, 2013. She moved to East Longmeadow in 1955 and worked in the high school cafeteria for twenty years. She is survived by a son, Richard A. Concato and his wife, Nancy of Lincolnton, NC,; a daughter, Jacqueline M. Miers and her husband, Daniel of East Longmeadow; and five grandchildren. (Excerpted from The Republican newspaper, Springfield, MA and the Lincoln-Times News, Lincolnton, NC). Mrs. Concato's headstone in Greenlawn Cemetery, East Longmeadow, MA. It was photographed in 2010, before she passed. John A. 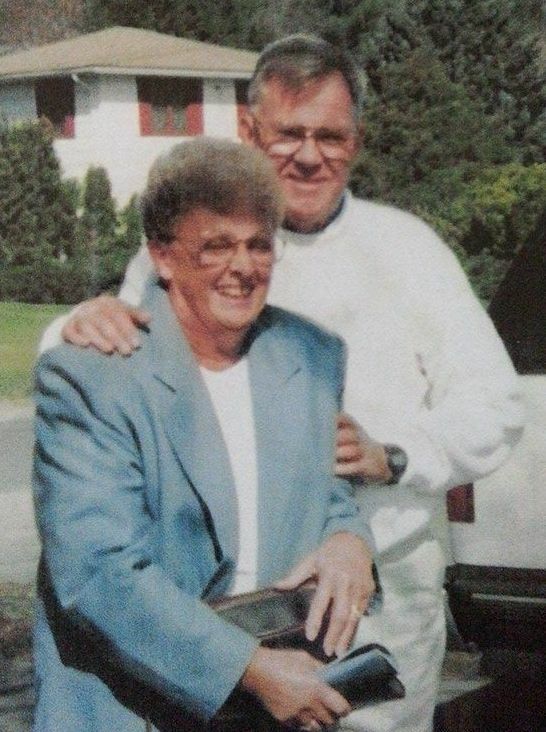 "Jack" Reardon, 82, longtime resident of Little Neck, Ipswich, loving husband of twenty-seven years of Mary (Kenney) Reardon, died Sunday, Aug. 4, 2013 in the Kaplan Family Hospice House, Danvers, following his long illness. Born in Stoneham Aug. 4, 1931, son of the late John A. and Bertha (Vilder) Reardon, he was raised in Malden, a 1949 graduate of Malden High School. He continued his education at Northeastern University, graduating in 1958 with a bachelor's degree in business administration and management. He served in the U.S. Naval Reserve. Jack's professional career spanned over forty years in the human resources and industrial relations field. He retired in 1996 from Gould Shawmut, Newburyport as vice president of human resources. 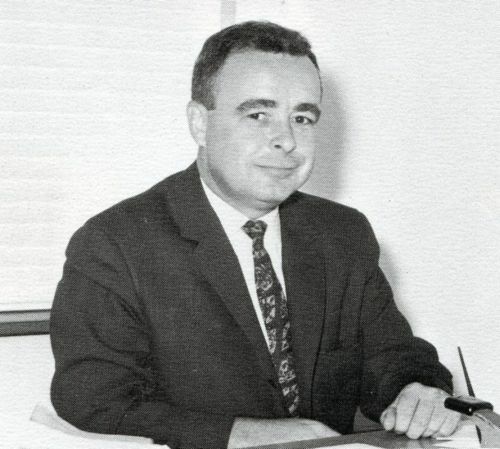 Prior to Gould Shawmut, Jack was employed as vice president of human resources for Garland, Corp., Brockton and at the Courier Corp., Lowell as director of industrial relations and personnel. While a resident of East Longmeadow, he was elected to two terms on the school committee. He was a former member of the Mass. Associated Industries and a former member and officer of the Ipswich Lions Club. Jack was also an active member of the Little Neck Association and a volunteer at the Ipswich Visitor's Center and the Beverly Hospital. In addition to his beloved wife, Mary, Jack is survived by two daughters, Lianne R. Halloran and her husband, John of Ipswich; Maureen A. Gilbert and her husband, Andrew of Newburyport; son-in-law William Sullivan of Ipswich; and nine cherished grandchildren. He was the father of the late Gretchen R. Sullivan, formerly of Ipswich and J. Glenn Reardon, formerly of Denver, CO.
Memorial contributions in his name may be made to Boston Children's Hospital or to the Newburyport Salvation Army, Newburyport, MA. (Excerpted from the Salem News newspaper, Beverly, MA). Lois Carolyn (Smith) Lopes, 92, passed away on Friday, May 10, 2013 peacefully in East Longmeadow Skilled Nursing Center. She was the widow of Olivio A. (Al) Lopes, also of East Longmeadow, who preceded her in death in 2006. She was the daughter of the late Clifford F. Smith, longtime City Clerk of Springfield, Massachusetts, and Mildred Carolyn Abbe. She was the granddaughter of Edward A. and Grace Lillian (Dod) Smith, and John Edgar and Emma Jane (Whitaker) Abbe. A brother, Robert C. Smith, died in 2005. Beginning in the late 1980s, Lois and Al became part of the Fulbrook community the Cotswolds in Oxfordshire, England, enjoying many activities with a close group of friends. They spent May through October of each year in Fulbrook until 2001. Lois's daughter Carolyn L. Barkley of Wintergree Resort, Virginia, passed away on Sunday, May 13, 2013. She is survived by her grandson Kelley Powell and his wife Kimberly (Murray) Powell, and her granddaughters, Megan Murray and Samantha, and Mackenzie Powell, all of Roanoke. A nephew, Christopher Smith, and his family live in Florida, and a niece, Kim Lopez, and her family live in New York. 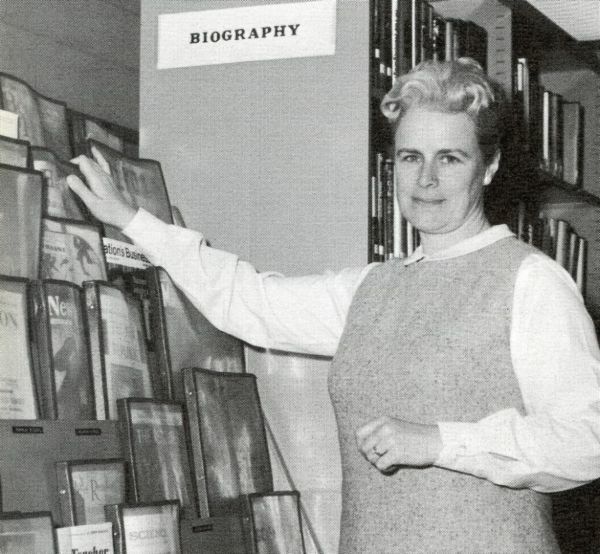 Memorial contributions may be made in Lois' memory to the East Longmeadow High School Library. 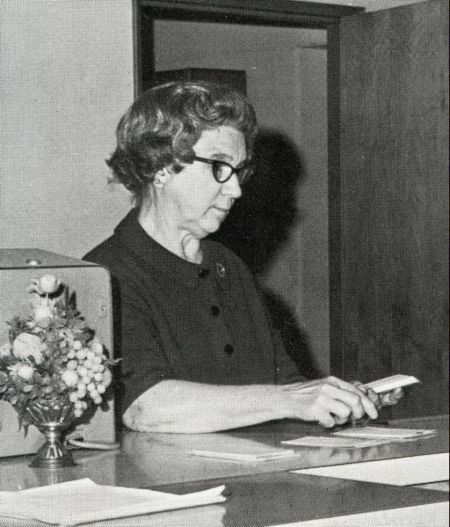 * During the 1969-1970 school year, Mrs. Ann Lynch served as the ELHS librarian, in place of Mrs. Lopes, who was on sabbatical leave that year. Mrs. Lopes served as the advisor to the library aides during our freshman, sophomore, and junior years. Here are the library aides in our freshman year. Front row: Irene Olier, Priscilla McCarthy, Joanne Buendo, Elaine Shea, Joan Leach, Susan Buendo. Row 2: Steve Corey, Joanne Stockwell, Cindy Page, Janet McCarthy, Susan Newkirk, Gail Taylor, Geraldine O'Brien. Library aides during our sophomore year. Front row: Paula Seligman, Bonnie Paige, Connie Haynes. Row 2: Joanne Buendo, Pat Donovan, Ellen Hopkins, Vicky Haskell, Pat Hendrick. Library aides during our junior year. Front row: John Gilmartin, Lynette Chavez, Marie Roy, Lori Roberts, Elaine Shea, Beth Lacey. Row 2: Bruce Carriere, Joanne Buendo, Kerry McRae, Linda Williams, Collette Chavez, Gail Van Valkenburg, Elaine Stewart, Ellen Hopkins, Vicky Haskell, Geraldine Spaulding. 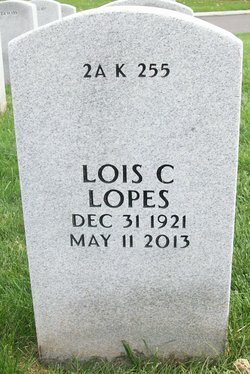 Mrs. Lopes' headstone in the Massachusetts Veterans' Memorial Cemetery, Agawam, MA. The numbers at the top signify the location of the headstone, in Section 2A, Row K, Site 255. 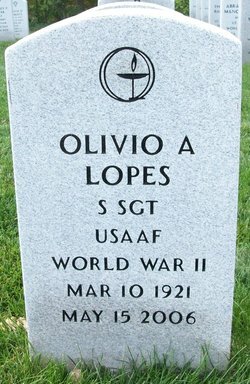 Her husband, Olivio Lopes' inscription is on the reverse side of the headstone. Mr. Lopes served as a staff sergeant (S SGT) in the United States Army Air Forces (USAAF) during World War II. The emblem above his name symbolizes the Unitarian Church/Unitarian Universalist Association. Rose J. (Luvera) Resta, 84, longtime resident of Springfield and of Titusville, FL, passed away peacefully on Tuesday, Mar. 26, 2013 at Wingate of East Longmeadow. Born in Springfield, she was the daughter of the late Joseph and Josephine Luvera. 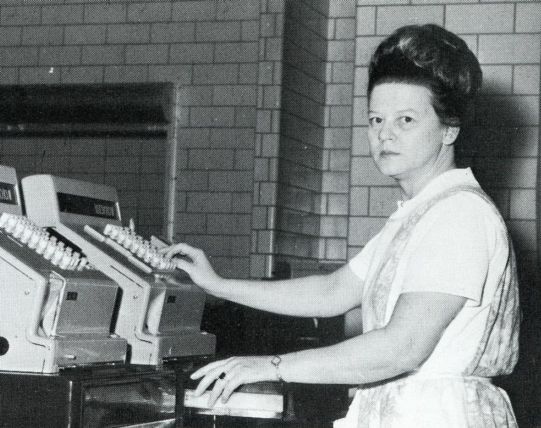 For over eighteen years, Rose was the manager of the East Longmeadow High School cafeteria, and was a former longtime parishioner of Our Lady of Mt. Carmel Church, Springfield, MA. She is survived by a daughter, Joann Mazza and her husband, Charles of Titusville, FL; a brother, Joseph Luvera of Springfield, MA; a sister, Catherine Colello of Springfield, MA; three grandchildren, and four great-grandchildren. 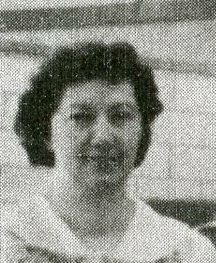 She was predeceased by her husband, Angelo M. Resta in 2006; a daughter, Rose M. Ostrander; her three sisters; her brother; and her son-in law, Raymond Ostrander. (Excerpted from the Sunday Republican newspaper, Springfield, MA). Mrs. Resta's remains are interred in St. Michael's Cemetery, Springfield, MA. Doris Evelyn Weake Cruikshank, who resided at Wake Robin in Shelburne, VT, died Wednesday, Jan. 18, 2012, at age 101. She was born in Springfield, MA July 8, 1910, the daughter of Fred and May (Wilson) Weake. Doris attended schools in Springfield and graduated from Skidmore College in 1933. In 1939 she married Lincoln Cruikshank, who predeceased her in 1979. 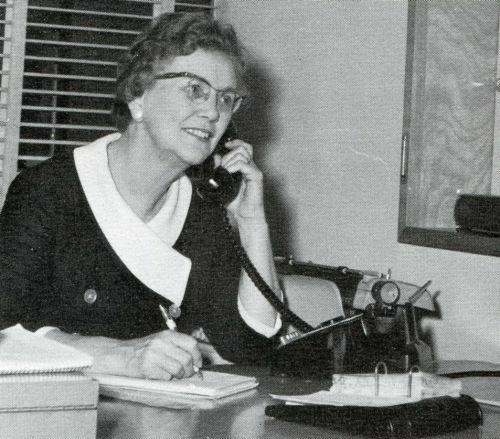 Before marriage, whe worked for the Federal Lank Bank in Springfield, and after her children were grown, she was secretary to the Superintendent of Schools in East Longmeadow, MA. Doris was active in many community activities in East Longmeadow including Girl Scouts, Historical Commission, Library Board, First Congregational Church, Women's Community Club, and the founding of ELRA (East Longmeadow Recreational Association). Survivors include her son, Dr. David Cruikshank of Portland, OR; daughter, Mary Silverman and her husband, Steve, of South Burlington; daughter Lois Winters and her husband, Gary, of Dover, NH; and daughter, Brigitte Maynare of Cary, NC; ten grandchildren, and nine great-grandchildren. Those who wish may send donations in Doris' memory to the American Liver Foundation, Newton, MA. (Excerpted from the Burlington Free Press newspaper, Burlington, VT). Mrs. Cruikshank's remains are interred in Hillcrest Park Cemetery, Springfield, MA. Ruth E. Swanson, 89, entered into Eternal Life on Tuesday, Oct. 13, 2011. Born in Springfield on Apr. 25, 1922, she was the second daughter of Swedish immigrants Carl and Alma (Gustafson) Johnson. She was a graduate of Springfield Technical High School, Class of 1939. After raising her three children, Ruth returned to work as a secretary in the East Longmeadow public schools, as well as several area businesses. Ruth was a member of Bethesda Lutheran and later St. Paul Lutheran Churches, where she was a longtime choir member. She was a member of Brage-Iduna Lodge, Vasa Order of America, and the East Longmeadow Garden Club. Her husband of sixty-two years, Harry Swanson, died in 2009. She was also predeceased by her sister, Astrid Johnson. She is survived by three children, Clark Swanson of Newburyport, Carolyn Swanson of West Hartford, CT, Carl Swanson and his wife, Natalie of Baltimore, MD, and three cherished grandchildren. Memorial contributions may be made to St. Paul Lutheran Church in East Longmeadow. 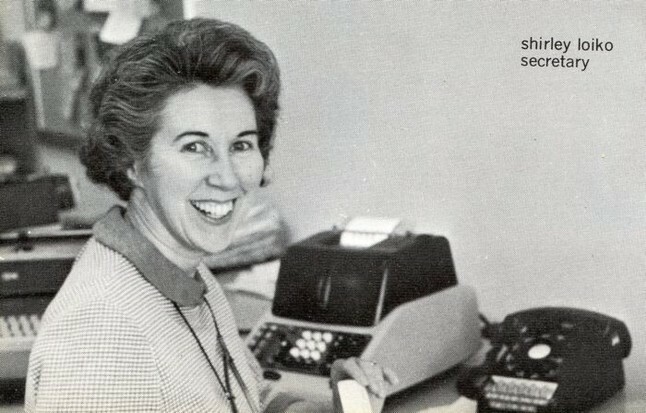 Note: Carolyn Swanson, ELHS 1967, passed away in 2012. Please click here for her life tribute. Mrs. Swanson's headstone in Hillcrest Park Cemetery, Springfield, MA. James M. Towle, 89, passed away Sunday, Jan. 23, 2011 in Bradenton, FL from complications of leukemia. Born and raised in West Roxbury, MA, James graduated from Bates College in Maine. James raised his family in East Longmeadow, MA, retiring to East Dennis, MA and Bradenton, FL. James spent his career in radio and automotive sales. He was a member of the East Longmeadow School Committee for twelve years, including serving as chairman. A Freemason and lifelong model railroader, James was involved in many organizations, including his churches and Little League baseball. Arlene Towle, James' beautiful bride of sixty years, went to be with the Lord last April. James and Arlene leave behind their four children, Bradford, Phillip, Andrea, and Gregory; five grandchildren; and two great-grandchildren. Mr. Towle's remains are interred in Fairview Cemetery, Hyde Park, MA. Beverly G. Bulkley, 79, died peacefully on Saturday, July 12, 2010 in her home in East Longmeadow, surrounded by her family. Born in Springfield, she was the daughter of the late Edward P. and Olive Grace. Raised in Longmeadow, she was a graduate of Classical High School and attended Westbrook College. She was married to William Hazen for fifteen years and the beloved wife of Charles Wilson Bulkley for thirty-seven years. She was a realtor with Stearns and Yerrall and DeWolff realtors for fifty-three years. 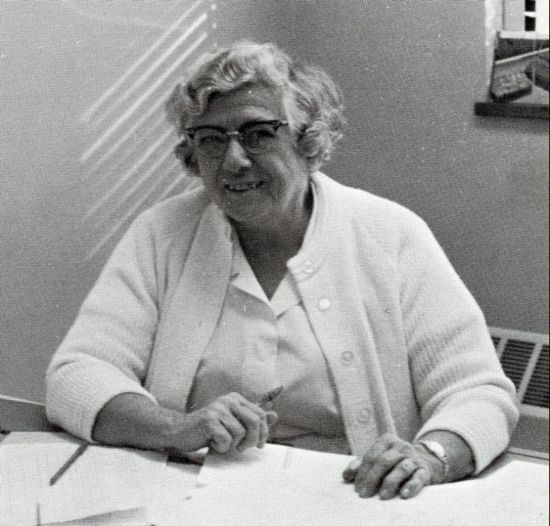 She held many volunteer positions as Secretary of the Republican Town Committee, an eleven year member of the school committee, and a member of the Long Range Planning Committee in East Longmeadow. She was a member of the Springfield Ski Club, Wilbraham Country Club, Longmeadow Field Club, and Longmeadow Country Club. She was also a fifty-five-year member of the Junior League of Springfield, the Springfield Garden Club, the First Congregational Church of Longmeadow, and president of the reunion committee of Westbrook College. She was predeceased by her parents; husband, Charles; and her brother, Allen Grace. She leaves her three daughters, Martha Foster of Westbrook, ME; Jane Jakobek of Longmeadow; and Nancy Hazen of Northampton. She also leaves two stepchildren, Deborah Kruskal of Sudbury; Charles Bulkley of North Carolina; and her brother, Edward Grace, of Maine. She will be missed by her five grandchildren and two great-grandchildren. In lieu of flowers, memorial contributions may be made to the Dana-Farber Cancer Institute, Brookline, MA. 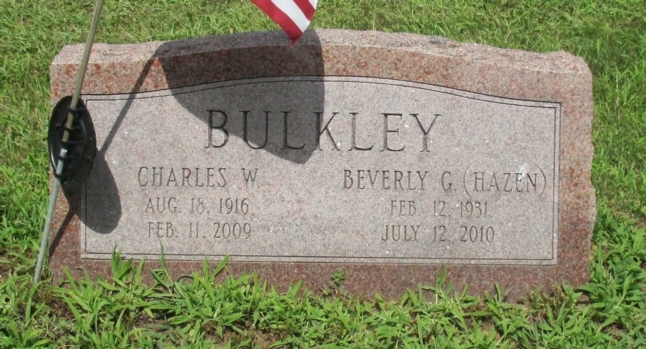 Mrs. Bulkley's headstone in Longmeadow Cemetery, Longmeadow, MA. 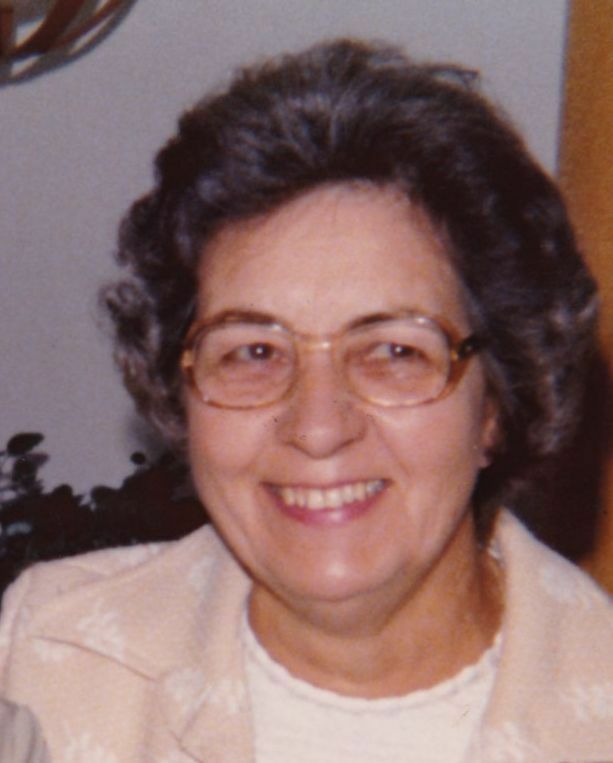 Mary Irene (Buckingham) Wolpert, 88, of 295 Maple St., a resident of East Longmeadow for sixty-two years, died Friday, June 8, 2007 in Bay State Medical Center, Springfield. Born and educated in Springfield, Irene was a 1936 graduate of Cathedral High School. 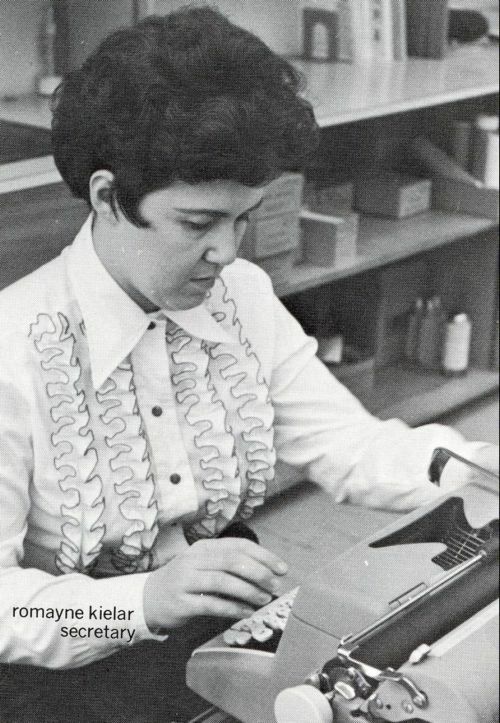 Irene was a former office worker for Van Norman Machine Tool Co., of Springfield, and later worked for over twenty years in the East Longmeadow High School cafeteria prior to her retirement. Irene is survived by her husband of sixty-two years, Richard F. Wolpert; a son, Gary Wolpert and his wife, Susanne, of Mason, NH; a daughter, Marlene Gondek and her husband, Jim of Oxford, MA; eight grandchildren; and seven great-grandchildren. Memorial contributions may be made to the East Longmeadow Senior Center. Mrs. Wolpert's headstone in Greenlawn Cemetery, East Longmeadow, MA. Norma Richard-Herrick, of Quarry Hill, East Longmeadow, passed away Sunday, Sept. 17, 2006 at a local nursing home. Born in Springfield to the late Harold and Ruth (Champlain) Beers, she was a lifelong resident of East Longmeadow. Norma was predeceased by her first husband, Raymond Richard in 1958 and her third husband, Ralph Herrick in 1972. She was employed by the town of East Longmeadow school department for over thirty years, as a cafeteria manager. Norma was a member of the Morning Glory Walkers of East Longmeadow and the East Longmeadow Historical Society. She was also an avid bowler, for many years, at Shaker Bowl. Norma is survived by her two sons, Raymond J. Richard and his wife, Marion, of Somers, CT. and Robert J. Richard and his wife, Christine, of Guilford, CT; her daughter, Cynthia R. Pighetti and her husband, Stephen, of Stafford Springs, CT; one brother, Rollin C. Beers and one sister, Edith Leddy, both of East Longmeadow. She is also survived by thirteen grandchildren, eleven great-grandchildren and two great-great-grandchildren. In lieu of flowers, contributions may be made to the East Longmeadow Historical Society. Mrs. Richard-Herrick's remains are interred in Baptist Village Cemetery, East Longmeadow, MA. Mrs. Nooney with her husband, Ralph, in 2003. Priscilla Jean (Howes) Nooney of East Longmeadow, died Sunday, June 18, 2006 at her home after a courageous battle with ALS. She was born in Springfield on Dec. 3, 1929, the daughter of the late Raymond and Mae (Spring) Howes. From 1954 to 1969 she worked as the director of the Cooperative Kindergarten in East Longmeadow. She was employed at Mapleshade School until her illness prevented her from walking. For thirty-five years she was employed in the East Longmeadow school system. 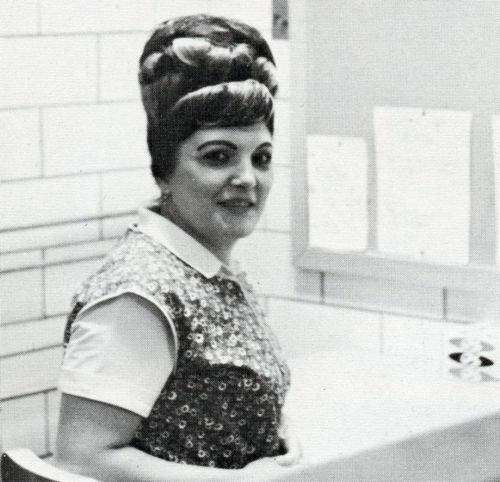 She was a cafeteria manager for seventeen years and a paraprofessional for the remaining eighteen years. She is survived by her husband of fifty-eight years, Ralph H. Nooney; a son, Mark and his wife, Barbara; two daughters, Debra Witham and her husband Neil, and Brenda Morini and her husband, James; and seven grandchildren. She was predeceased by her son Ralph H. Jr., and a brother, Douglas. In lieu of flowers, contributions may be made to the East Longmeadow High School Scholarship Fund. 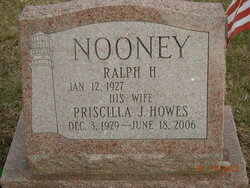 Notes: Mrs. Nooney's son, classmate Ralph Nooney, passed away in 1967, during his sophomore year. Please click here for his tribute. In 2013, Mrs. Nooney was inducted posthumously into the East Longmeadow Public Schools Educators Hall of Fame. Mrs. Nooney's headstone in Baptist Village Cemetery, East Longmeadow, MA. Her husband, Ralph passed away in 2015. John J. "Jack" Quinn, M.D., of Longmeadow, a physician who practiced medicine in East Longmeadow for 47 years, died late Wednesday morning, Dec. 8, 2004, at his residence. Born in Springfield, John earned his M.D. from Boston University. He was a veteran of World War II, participating in campaigns in Europe and receiving the Purple Heart medal with three service stars. Dr. Quinn was a licensed physician in Massachusetts and New Hampshire and was the East Longmeadow school physician for many years. He received the Fifty Years of Medical Service Award from the Massachusetts Medical Society, retired from private practice in 1997, and also retired as medical director of the East Longmeadow Nursing Home in 1998. John was an active member of the Massachusetts Medical Society, American Academy of Family Physicians, Irish-American Pediatric Society, Hampden District Medical Society, East Longmeadow Lions Club, and the Springfield Lodge of Elks. He was an avid golfer and also a member of the Springfield Country Club, Hyannis Yacht Club, and Colony Club. Dr. Quinn is survived by his wife of twenty-one years, Carol L. (Soutra) Quinn; three sisters; two sons including Barry Quinn, who attended East Longmeadow schools and graduated from Mt. Hermon School in 1964; four daughters; seven grandchildren; and six great-grandchildren. Dr. Quinn's remains are interred in Hillcrest Park Cemetery, Springfield, MA. 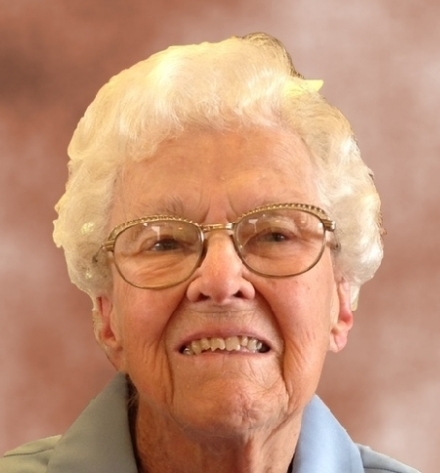 Services for Marjorie R. Weyant, 86, formerly of Palatine, IL since 1969, will be held at noon today, Mar. 5, 2004, at Ahlgraim and Sons Funeral Home, 201 N. Northwest Highway, Palatine. Born Aug. 9, 1917, in Chicago, she died Wednesday, Mar. 3, 2004 at Friendship Village in Schaumburg. 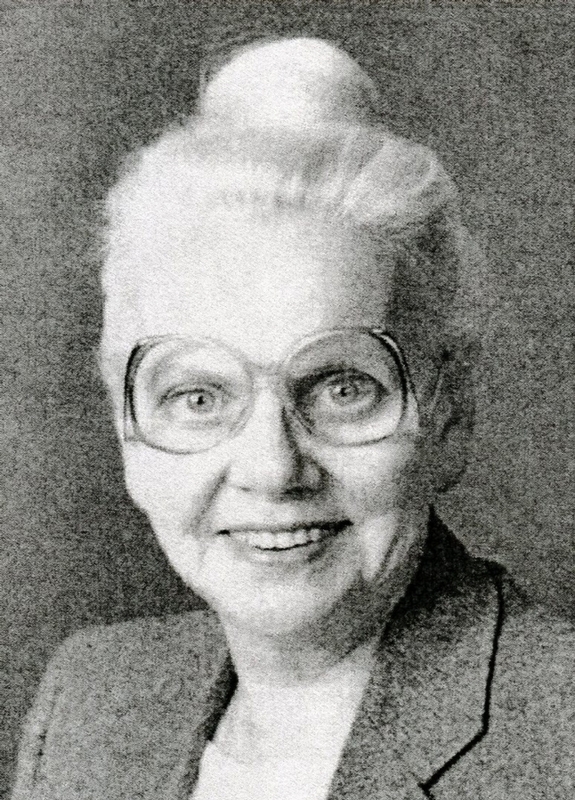 Marjorie had worked for Illinois Bell for fifteen years prior to her retirement in 1984. She was a member of the OES Palatine Chapter #585 and a former member of the Eli Skinner Chapter of NSDAR of Arlington Heights. 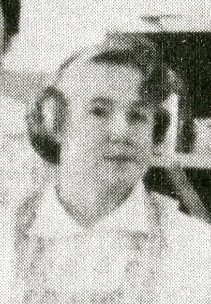 Survivors include her children, Jarl (Virginia) Weyant of Pasadena, Md., and Fleda J. (Donald) Lawyer of Newark, IL; one granddaughter; one great-grandchild; sister, Geraldine (Ralph) Gulder; and many nieces and nephews. She was preceded in death by her husband, Frederick R. Weyant; and brother, Louis Rogers, Jr. In lieu of flowers, memorials to the Alzheimer's Association, Skokie, IL are appreciated. (Excerpted from the Daily Herald newspaper, Arlington Heights, IL). Note: Classmate Jarl Weyant, in our class from kindergarten through eleventh grade, moved to Illinois at the end of his junior year. Mrs. Weyant's headstone in McHenry County Memorial Park, Woodstock, IL. Florence M. (Morris) Miorandi, 88, entered into eternal rest on Thursday, Dec. 25, 2003 at the East Longmeadow Health Care Center. Born in Boston, she lived most of her life in East Longmeadow. 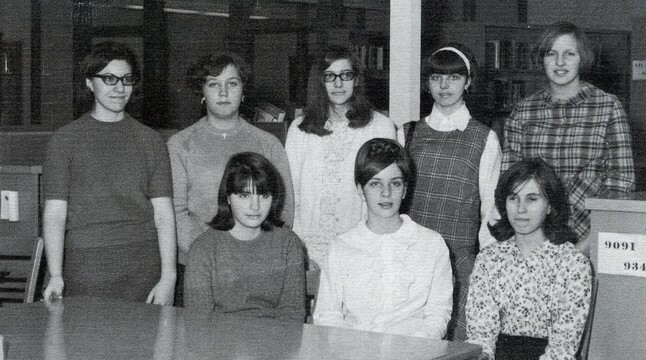 She was a cafeteria worker at East Longmeadow High School from 1960 to 1984, when she retired. She was a member of the East Longmeadow Senior Center and its Morning Glory Walkers Club. She was also an active member of St. Mark's Episcopal Church and was one of its founding members. 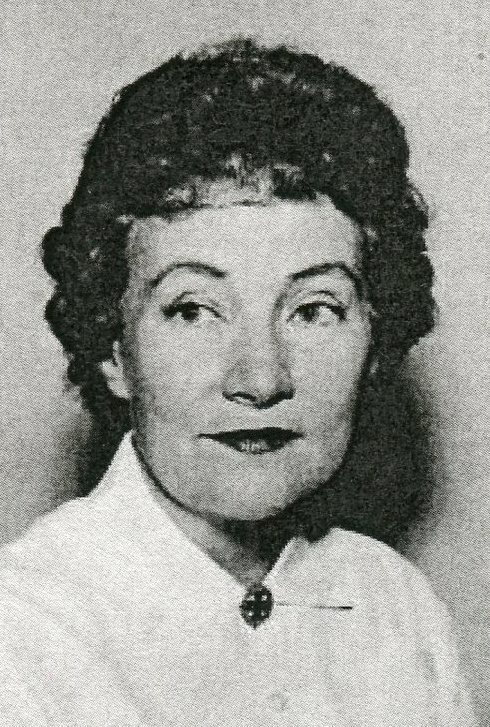 Florence was the wife of the late Mallery A. Miorandi, who died in 1975. She leaves two sons, Ralph and his wife, Donna Miorandi of Osterville and Franklin and his wife, Gail Miorandi of East Longmeadow, and three grandchildren. She was also predeceased by her sister, Edith Morris. Memorial contributions may be made to St. Mark's Episcopal Church in East Longmeadow. Mrs. Miorandi's remains are interred in Hillcrest Park Cemetery, Springfield, MA. 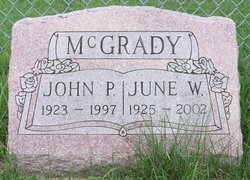 Mrs. June W. McGrady, mother of classmate John McGrady, passed away on June 18, 2002. At this time, we have no additional details on her life or passing. Please contact us if you have any information we may add to her tribute. Mrs. McGrady's headstone in Greenlawn Cemetery, East Longmeadow, MA. 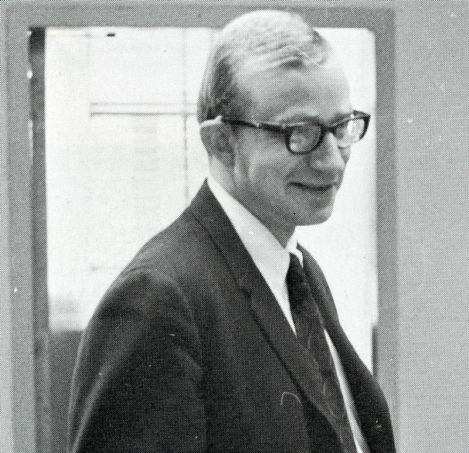 Mr. Sheldon in 1950 (college graduation photo) and in 1967. Edward H. Sheldon, who resided in Clemmons, NC, passed away on Monday, Dec. 24, 2001. Born in 1924, he graduated from Chicopee High School and served in the U.S. Navy. He earned bachelor's and master's degrees from American International College. In 1954, he was appointed as a fifth grade teacher at Birchland Park Elementary School. From 1955-1957, he taught fifth grade at Mapleshade School. From 1957 to 1961, he served as the supervising principal of Pleasant View and Center Schools. 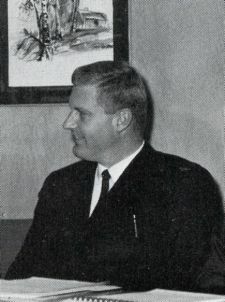 In 1961, he became the principal of the newly opened Mountain View School, serving in this capacity until July 1965, when he was appointed assistant superintendent of East Longmeadow Public Schools, a position he held until 1969. From 1969 until 1971 Mr. Sheldon was associated with the Sun Life Assurance Co. of Canada in West Springfield. 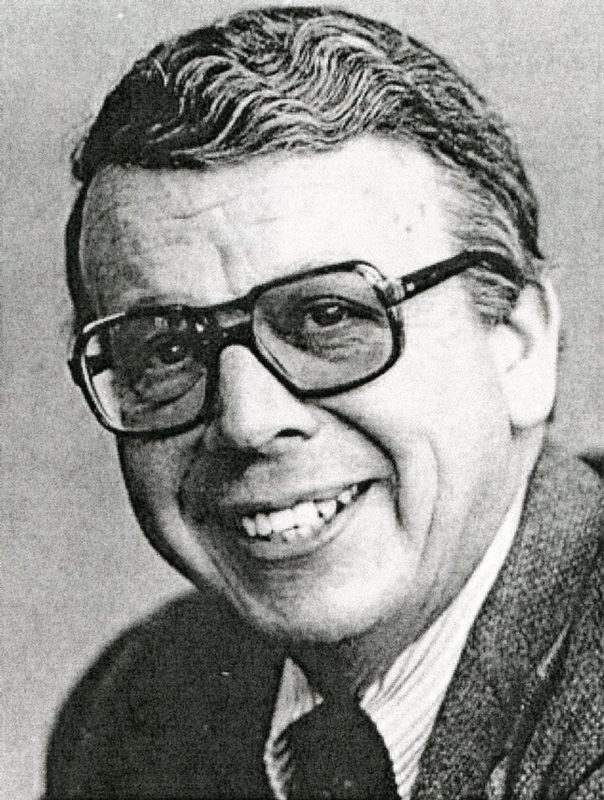 He served as the coordinator of the Springfield regional center of the Massachusetts Department of Education from 1971 until 1977. He was predeceased by his wife, Frances, in 1996, and survived by two daughters, Barbara Perugini, ELHS 1972, and Nancy Sheldon, ELHS 1974. (Excerpted from articles in the Springfield Union newspaper, Springfield, MA and his entry in the Social Security Death Index). 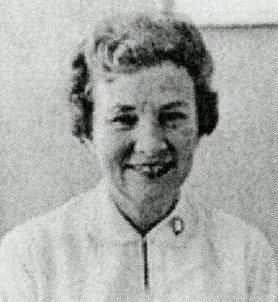 Mrs. Hayward in 1962, 1964 and in 1970. Helen (Byrne) Hayward, 93, of Porter Road, East Longmeadow, died Thursday, Mar. 15, 2001 in Baystate Medical Center in Springfield. 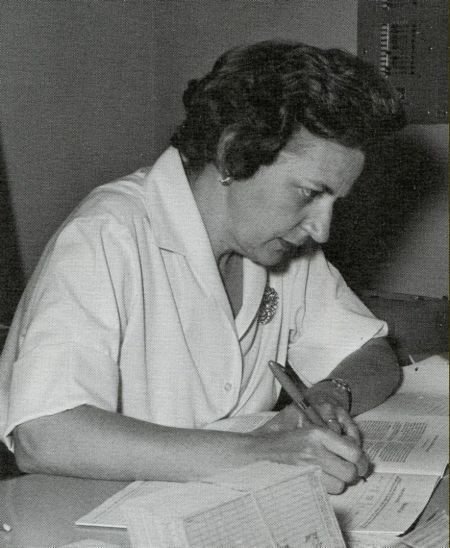 She was one of the first nurses to administer the polio vaccine in the Springfield area. She was employed by area hospitals and retired as an East Longmeadow school nurse. 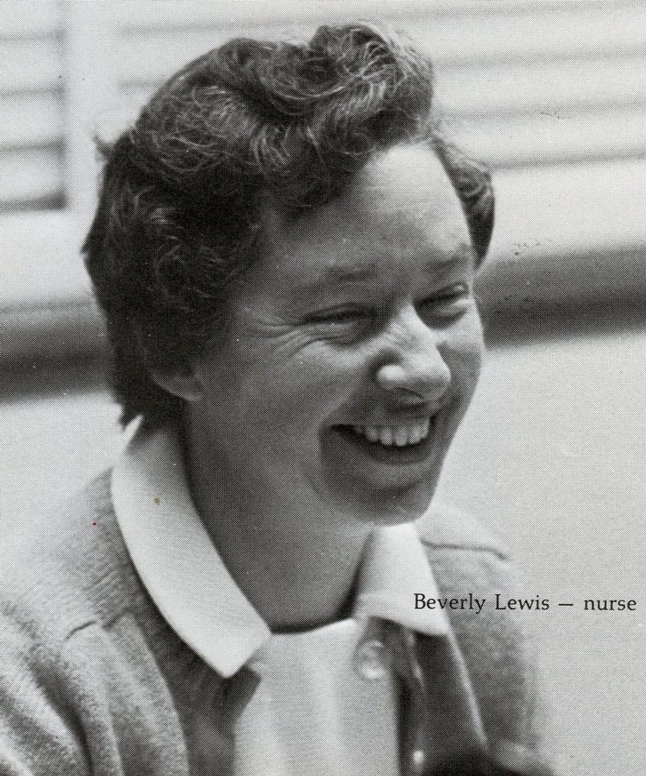 Born and educated in Rutland, Vt., she was the oldest living graduate of the Springfield Hospital School of Nursing. 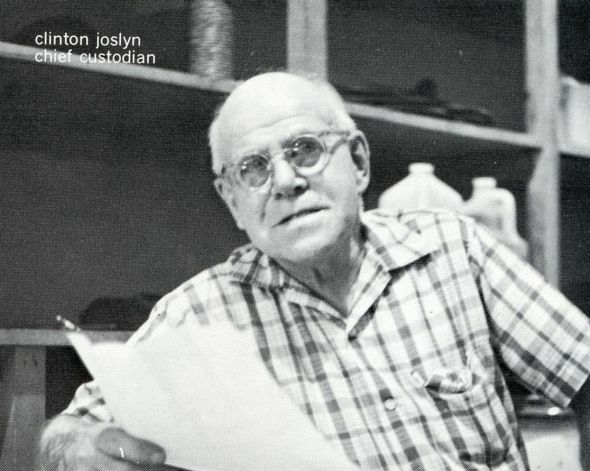 Her husband, Milton A. Hayward, died in 1987. She leaves two sons, Charles B. of Springfield and Pierce of Rutland Center, Vt.; a brother, Thomas R. Byrne of Plymouth, N.H.; five grandchildren; and six great-grandchildren. Memorial contributions may be made to Baystate Medical Health Systems Development Office, Springfield, MA or to the Springfield Library and Museums Development Office, Springfield, MA. (Excerpted from the Springfield Union-News newspaper, Springfield, MA). Stanley P. Brown, 65 of East Longmeadow, Mass. died Tuesday, Feb. 23, 1999. A graduate of Classical High School, Springfield, he received a bachelor's degree from Springfield College; master's degrees from Colby College, Maine and Louisiana State; and a doctorate in mathematics from the University of Massachusetts. He was the first state supervisor of educational television in Maine and taught modern mathematics on television. He was also state supervisor of mathematics in Maine. 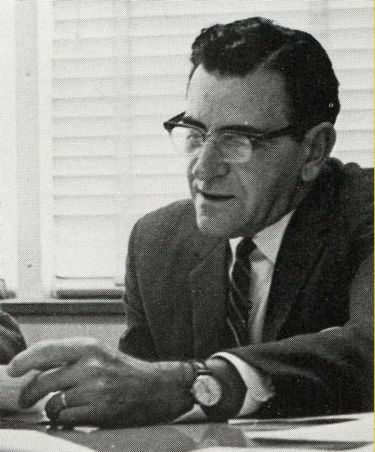 In October 1969, while employed at Springfield College as the chairman of the physics and mathematics department, he was appointed to the East Longmeadow School Committee, filling the vacancy created by the resignation of John Reardon. He was then elected to the committee in February 1970, and served in this capacity until 1975, when he was elected to the East Longmeadow Board of Selectmen, where he served for nine years. The husband of Shirley (Streeter) Brown, he is also survived by one son and daughter-in-law, Phillip and Sue Brown of Roanoke; daughter and son-in-law, Carol Sue and Brian Sleator of Springfield, Mass., and son, James of East Longmeadow, MA. In lieu of flowers, memorials may be sent to the Shriners Hospitals for Children, Springfield, MA or to the Springfield College Development Office, Springfield, MA. (Excerpted from articles in the Springfield Union newspaper, Springfield, MA, and The Roanoke Times newspaper, Roanoke, VA). Florence (Gilwech) Strong, 94, of Danvers, Mass., and a forty-year East Longmeadow resident, died Wednesday, Dec. 17, 1997 at a healthcare center in North Reading. Born in Northampton, she was schooled in Springfield. She belonged to the Garden Club and the Women's Community Club, both in East Longmeadow. 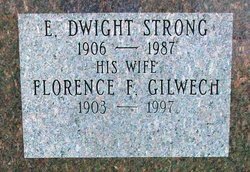 Her husband, Earl Dwight Strong, Jr., died in 1987. She leaves a daughter, Cynthia M. Strong, with whom she lived, and a sister, Stella Gilwech of Springfield. Memorial contributions may be made to the Arthritis Foundation, Newton, MA. 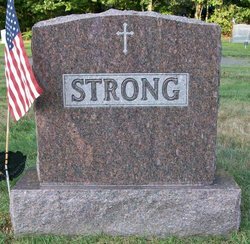 Mrs. Strong's headstone, frontside and reverse, in Greenlawn Cemetery, East Longmeadow, MA. Emanuel S. Tesoro, 80, of 228 Hampden Road, a retired forty-seven-year employee with Mass Mutual Insurance Co. in Springfield, died Thursday, June 8, 1995 at home. He began his career with the company in 1946 and was named director of group claims and designated a senior officer in 1965. He became second vice president in 1977. Born in East Longmeadow, he was a longtime resident here and wintered in Estero, Fla. He graduated with honors in accounting from Northeastern University. He was a past president and honory life member of the New England Claims Association and was active in the Eastern Life Claims Conference, the International Claims Association and the Health Insurance Association of America. He served on the boards of directors of the Health Care Foundation of Western Massachusetts and the Western Massachusetts Professional Standards Review Organization. He was a member of the Life Office Management Association and served on the Employee Disability and Group Field Employees Evaluation Committees. Chairman and member of the East Longmeadow School Committee, he was also active on the East Longmeadow Building Committee and the East Longmeadow Finance Commiteee. He was a member of the Trinity United Methodist Church. A member of the Wilbraham Country Club, he was its auditor and a member of the PTK fraternity. He leaves his wife, the former Marian Talbot; a son, Paul J. of Hampton, N.H.; two daughters, Ann M. Tesoro of Boise, Idaho, and Susan T. Anderson of Topeka, Kan.; a sister, Ann Tesoro of East Longmeadow, and a granddaughter. Memorial contributions may be made to Hospice of Pioneer Valley, Springfield, MA, or to Trinity United Methodist Church, Springfield, MA. 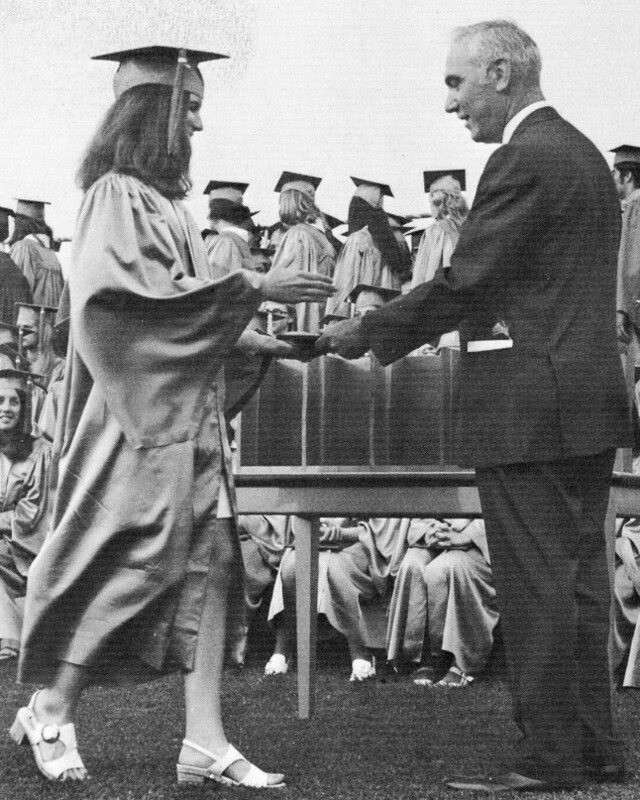 At our commencement ceremony, school committee chairman Mr. Tesoro presents his daughter, Ann with her diploma. Mr. Tesoro's headstone in the Baptist Village Cemetery, East Longmeadow, MA. 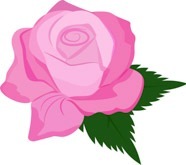 Shirley K. Hire, 66, who resided in Englewood, FL, passed away on Friday, Apr. 1, 1994. She joined the East Longmeadow Public School system in 1970, serving as the secretary to two superintendents during our time at ELHS, Mr. Robert Jarvis and Dr. Wayne Porter. As of 1984, she continued working as the secretary to the superintendent. Two of her children were our classmates, John, ELHS 1971 and Roberta, ELHS 1973. (Excerpted from an article which appeared in the Springfield Union newspaper, Springfield, MA; her entry in the Social Security Death Index; and personal recollections). Emily Mumford, 89, who resided in Chatham, MA, passed away on Friday, Jan. 28, 1994. In August 1956 she was appointed supervisor of the hot lunch program in Birchland Park, Mapleshade, Center, and Pleasant View Schools, a position she held through the opening of Mountain View and Meadow Brook Schools and for the four years we were at ELHS. (Excerpted from articles in the Springfield Union newspaper, Springfield, MA and her entry in the Social Security Death Index). Ruth L. (Mathison) Syrett, 61, of 8 Helen Circle, East Longmeadow, former employee of the East Longmeadow school system's lunch program, died Thursday, Mar. 3, 1988 in Baystate Medical Center, Springfield. Born in Springfield, she had lived in East Longmeadow for many years. She was a member of the First Congregational Church and was active in its women's organizations. She leaves her husband, James S. Syrett; two daughters, Carol Syrett of Springfield and Linda; a brother, the Rev. Donald Mathison of Sunderland, and five grandchildren. (Excerpted from the Springfield Union newspaper, Springfield, MA). Mrs. Syrett's remains are interred in Hillcrest Park Cemetery, Springfield, MA. Clinton L. Joslyn, 80, of 30 Wood Ave., East Longmeadow, retired head custodian for East Longmeadow High School, died on Sunday, Jun. 10, 1984 in Baystate Medical Center, Springfield. Born in East Longmeadow, he lived in Springfield, and again in East Longmeadow for thirty-five years. He also was a custodian for Mitteneague Methodist Church, West Springfield, retiring in 1982. He was a member of the East Longmeadow Methodist Church, its Ones and Twos Club; Charles C. Spellman Lodge of Masons; Melha Temple Shrine, Springfield, and its Hadji Unit, and the Springfield Golden Age Club. He leaves his wife, the former Margaret Anderson; two daughters, Mildred A. Wood of Somers, Conn., and Margaret Burgoyne of West Springfield; two sisters, Mildred Baker of East Longmeadow, and Hazel Conant of Springfield; five grandchildren; and six great-grandchildren. Donations may be made to the memorial fund of the Methodist Church or to the Shriners Hospital for Crippled Children, Springfield, MA. Mr. Joslyn's remains are interred in Hillcrest Park Cemetery, Springfield, MA. Clint with his wife, Margaret. The ELHS Class of 1971 dedicated its yearbook to Clint, with the following words: "With affection and respect the class of 1971 dedicates their yearbook to Clint Joslyn. Throughout the years he has proven that one need not be an administrator or a millionaire to really succeed in life. In the friendships he has established within our class and those before us, he has gained something much more valuable. We hope that Clint will remember us just as we will surely remember him." Donald R. Emerson, 47, of 231 Monson Rd., Wilbraham, director of special education and guidance for East Longmeadow public schools, died on Sunday, Mar. 27, 1983 in Ludlow Hospital. A native of Springfield, he attended local schools and was a graduate of Weslyan University and Springfield College. He was a member of Wilbraham United Church, the board of directors of Lake Damon Association of Chesterfield, Beta Theta Pi fraternity, and several professional associations, including the Massachusetts Teachers Association and the Springfield area board of the Massachusetts Department of Social Services. He leaves his wife, Judith (St. Lawrence) Emerson; two daughters, Debra Emerson-Hearn of Bakersfield, Calif., and Virginia Miller of Norfolk, Va.; his mother, Jennie B. Emerson of Wilbraham; a foster daughter, Lynn Desjardins of Wilbraham; a foster brother, Donald McClain of Holyoke; and one granddaughter. Memorial contributions may be made to the Retina Associates of Boston or to the American Diabetes Association. Mr. Emerson's headstone in Bofat Cemetery, Chesterfield, MA. Gordon M. Grady, 69, of 345 Kibbe Rd., East Longmeadow, retired vice president, secretary and treasurer of Monarch Life Insurance Co., Springfield, died Tuesday, Mar. 31, 1981 at Baystate Medical Center. He was a longtime member of the school committee and had been its chairman. Born in East Haven, Conn., he lived in Springfield and then in East Longmeadow twenty-four years. 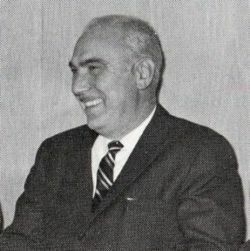 A graduate of High School of Commerce, Springfield, and Northeastern University, Boston, he joined Monarch as an accountant in 1929; was elected assistant treasurer in 1949, assistant vice president in 1959, secretary in 1963, secretary and treasurer in 1964, and a member of the board of directors in 1965. He retired in 1974. In 1958 when Monarch affiliated with Springfield Fire & Marine Insurance Co., he was elected vice president and treasurer of both. He was an associate of the Life Management Association; a charter member of the Rotary Club; director of the Lions Club; and member of Trinity United Methodist Church, Elmcrest Country Club, Rosewell Lee Lodge of Masons, Springfield, and the DeMolay Legion of Honor. He leaves his wife, the former Louise Benton; a son, Gordon B. of Coventry, Conn.; a brother, retired Col. Willliam R. of Redlands, Calif.; and three grandchildren. Donations may be made to the National Kidney Foundation, Boston, or to the American Heart Association, Springfield. Mr. Grady's remains are interred in Hillcrest Park Cemetery, Springfield, MA. Ralph B. Herrick, Jr., 56, of 55 Thompkins Ave., East Longmeadow, died on Monday, Jul. 10, 1972 after a long illness. Born in Gloucester, Mar. 9, 1916, he lived in East Longmeadow twenty-one years. He was employed as a supervisor of maintenance in the East Longmeadow school system. He was a member of the First Congregational Church, Hampden Lodge of Masons, American Legion Post 293, Lions Club, Civil Defense, East Longmeadow Building Committee, and the Disabled American Veterans. He leaves his wife, Mrs. Norma (Beers) Herrick; two stepsons, Raymond Richard, Jr. of Somers, Conn., and Robert Richard of East Longmeadow; four daughters, Mrs. Nancy Whitee of Hampden, Mrs. Jane McDade of Fairfax, Va., Miss Susan Herrick, at home, and Mrs. Carol Magrone of East Longmeadow; four brothers, Robert of Gloucester, Harvey of Rockport, and William and Arthus, both of Ludlow; and a sister, Mrs. Eleanor Bennet, of Ludlow. Memorial contributions may be made to the East Longmeadow Scholarship Fund. (Excerpted from the Springfield Union newspaper, Springfield, MA. 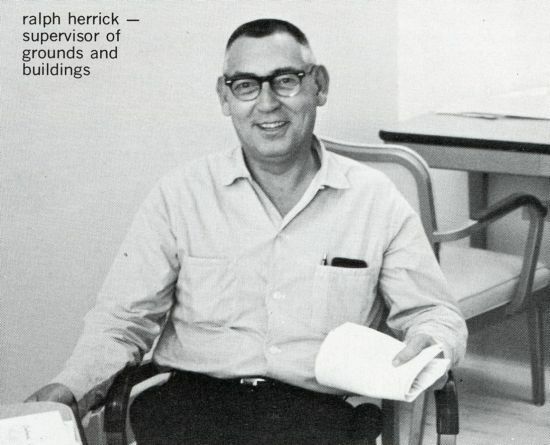 Note: Mr. Herrick's wife, Mrs. Norma Richard-Herrick, one of our cafeteria managers, passed away in 2006. Please see her tribute above. Robert J. Jarvis, of 16 Shaw St., East Longmeadow, superintendent of schools here since 1953, was stricken in his home Sunday, Mar. 1, 1970 and was pronounced dead on arrival at Wesson Memorial Hospital, Springfield. The exact cause of death was not immediately determined. He had undergone open-heart surgery some months ago. He was 55. A 1933 graduate of Springfield Technical High School, Jarvis held baccalaureate and graduate degrees from Tufts College and had done graduate work at Harvard and Boston Universities and the University of Massachusetts. He was a past president of the Barnstable County Teachers Association and had been active in many civic and professional organizations. 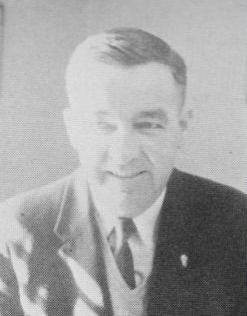 After teaching in Brighton and Wareham public schools and being principal of a consolidated school in Sandwich, he became superintendent in 1948 of a school union covering Erving, New Salem, Shutesbury, Leverett, and Wendell, coming from this post to his East Longmeadow position. Memorial contributions may be made to the East Longmeadow Scholarship Fund or to the Western Mass. chapter of the Heart Fund. This is the dedication ceremony at which a protrait of Mr. Jarvis was presented to East Longmeadow High School by the Class of 1970, following Mr. Jarvis' passing. 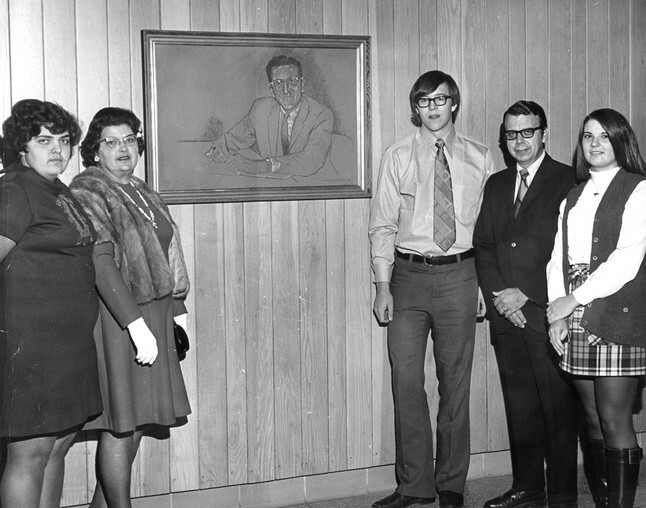 Left to right: Sandra Jarvis, daughter of Mr. Jarvis; Mrs. Ruth Jarvis; Greg Naylor, member-at-large, Class of 1970; Mr. Ralph Shindler, ELHS principal; Sue Abel, vice president, Class of 1970. Photo courtesy of Bruce Moore. 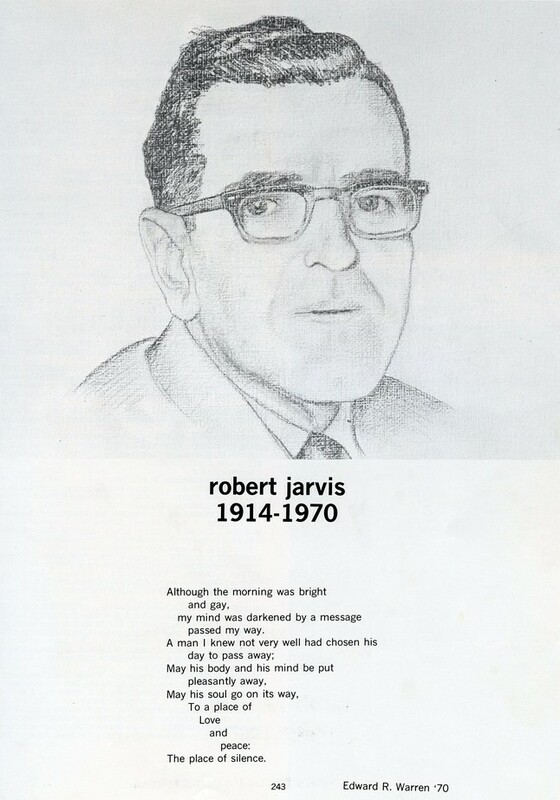 Page 243 of our senior yearbook features a portrait of Mr. Jarvis drawn by classmate Mark McCandlish, ELHS 1971, and a poem of tribute by classmate Ed Warren. 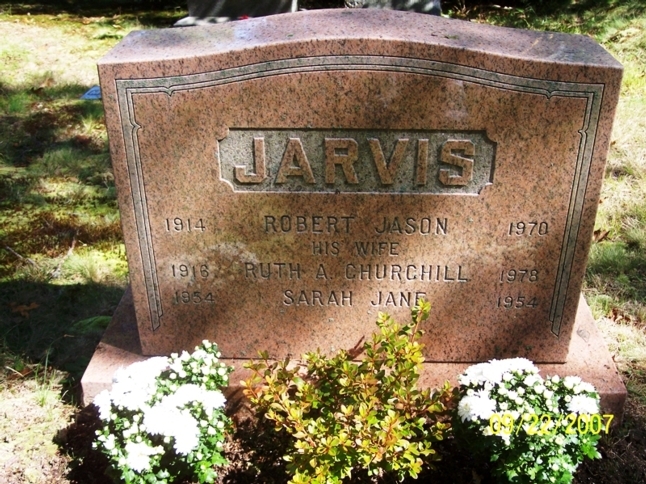 Headstone for Mr. Jarvis, Mrs. Jarvis, and their infant daughter, Sarah Jane in Vine Hills Cemetery, Plymouth, MA.